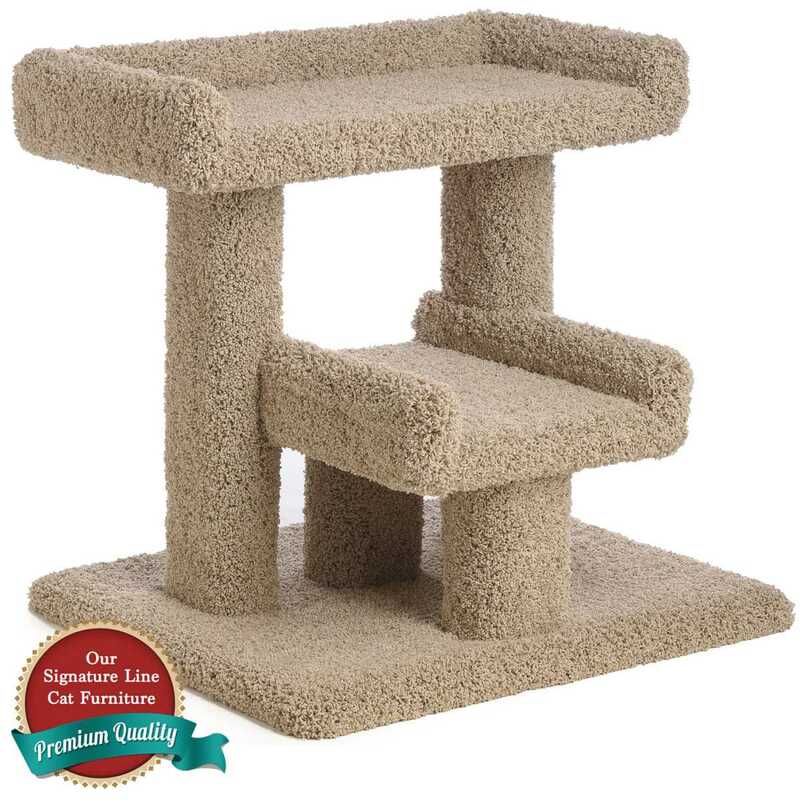 The 24" Deluxe Tiered Cat Perch has a base of 23"x19", Top Tray of 23"x12", Lower Tray 12"x16" and 2-18" tall scratching posts, and weighs in at 35-37 pounds. 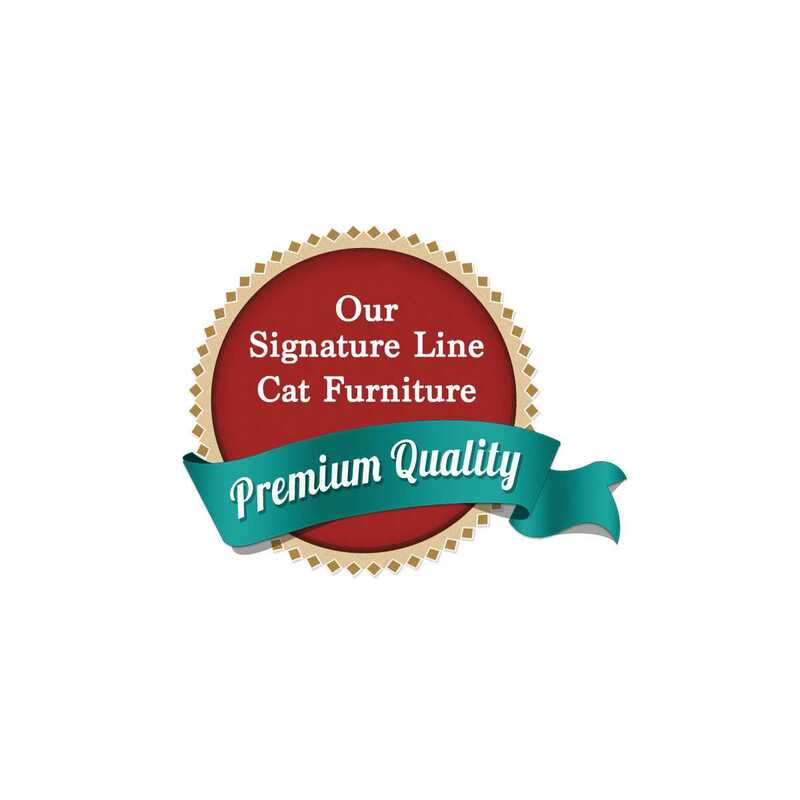 This giant cat bed is designed for multiple felines. 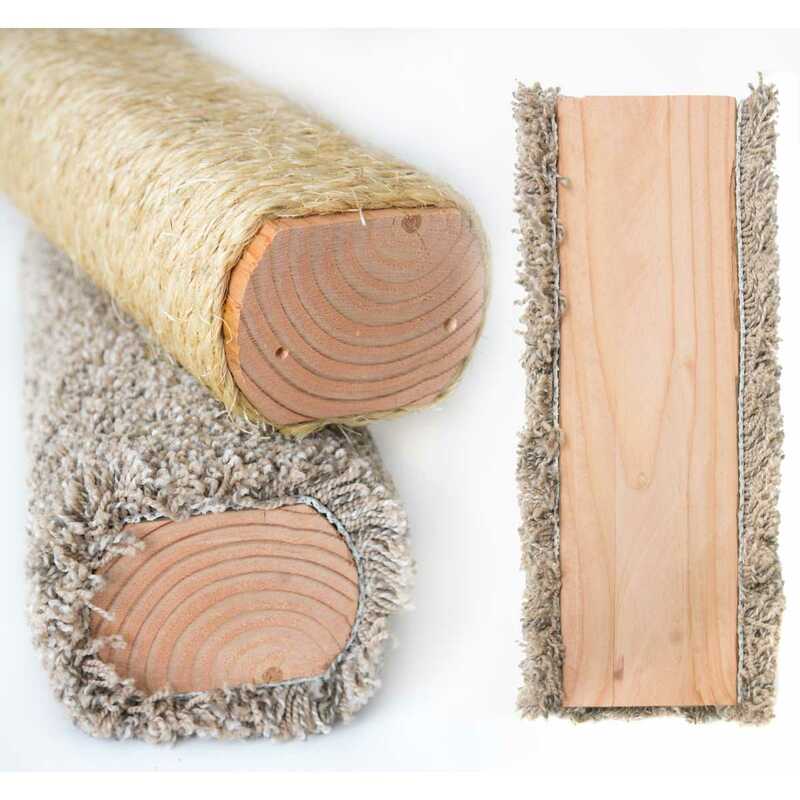 Extremely durable and stable. 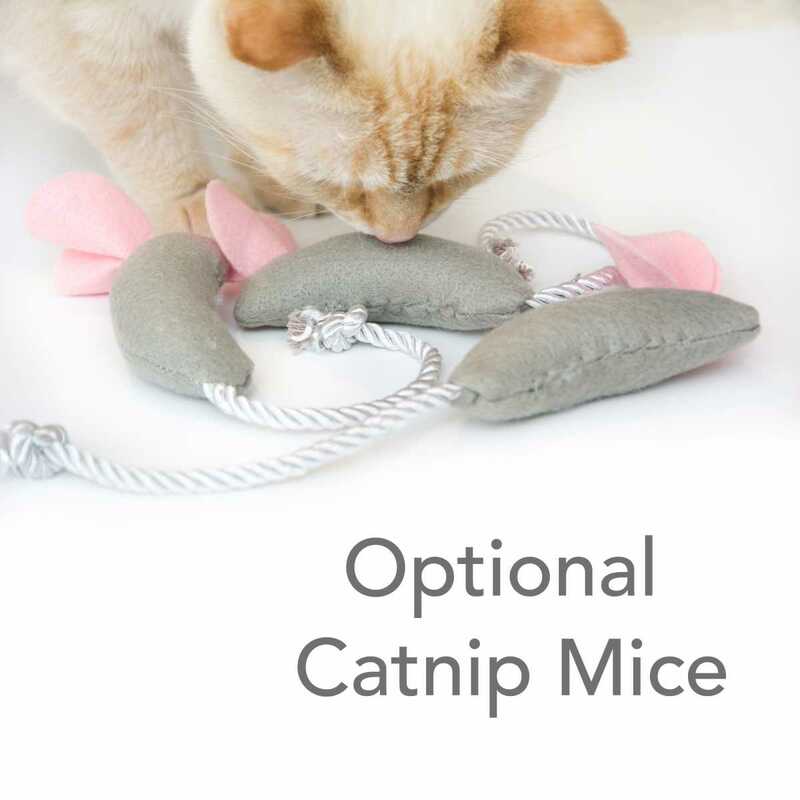 With its tiered design it can double as a set of steps by a couch or bed, and it protects your furniture by giving your cat its own scratching surfaces. Great for pampering your older kitties, with its tiered design it is very easy for them to climb. 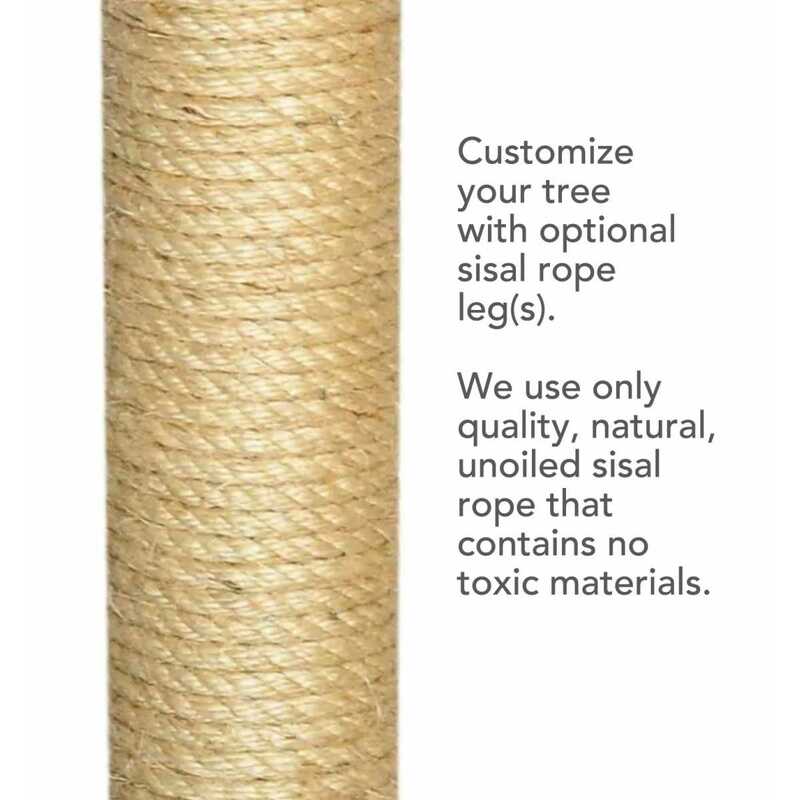 Available with one or two legs wrapped in sisal, which helps your cats maintain a healthy nail -- and adds a longer life to your tree, plus saves your sofa!